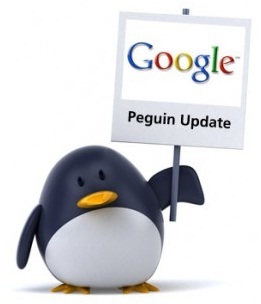 We all know about the Google Penguin 2.0 (aka Google Penguin 4) which came a few weeks before. The results were devastating for a few sites, especially which had bad links and were too lazy to remove them. The sites which painstakingly built great sites and great links, were rewarded. When 2.3% queries get affected in English language domain alone, it is indeed BIG update. As we know, SEOMOZ has launched a few new tools. Fresh web explorer is one of those which helps you to analyse all the backlinks for a domain, SEOMOZ itself became Moz.com and there is a fantastic mozcast.com which was recently launched. On an average day, the temperature at Mozcast remains in the seventies & eighties (70-89). Howver, when it goes beyond this, it indicates havoc changes of ranking accross the industries, which can be caused by either Google updates or Google data refreshes. What is the effect of any update? The change of ranking of keywords, either positive or negative. So, the opposite can be true as well. Havoc fluctuation of ranking means there is a very high probability that a Google update or data refresh has taken place. Mozcast has selected hundreds of carefully selected keywords accross domains and keep an eye on their ranking on daily basis. The variation in ranking is directly proportionate to the mozcast temperature. Now, when the ranking variation is minor (which is very normal, a keyword might rank 17 today and 18/19 tomorrow) the temperature doesnt go too high. In the case of Mozcast, it means the temperature remains within 70-89 range. But when the keywords’ rankings start fluctuating a lot, the temperature goes up similarly. The higher the temperature is, the more the ranking fluctuation is and the more probability os a Google update/data refresh. If we see, on June 25 and June 27, we had very high temperature and yes indeed, we saw havoc ranking changes on June 25/26. A very dear keyword dropped from 14 to 23, two other prominent keywords went from 23 to 32. There are various other reports (especially popular SEO forums online) where people complained of absurd ranking changes. For our keyword, we saw a change among the leaders as well with 4 out of top 5 slots were occupied by new entries. There has been, however, no update or confirmation from Google about these updates. As we know, many of their updates go unannounced, this might be again one of those. We are waiting, just like you and our clients, for official words from Google. Tired of Google updates then switch to Google update optimization services by Search Eccentric. What Small Businesses Should Do While Outsourcing SEO?